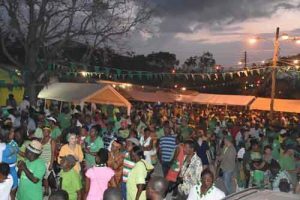 The true spirit of St. Patrick’s was on full display at the opening ceremony and rhythm on Friday evening, March 10, 2017. 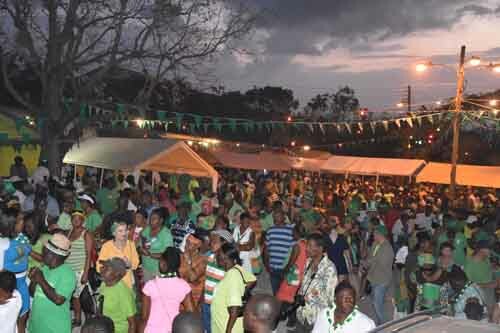 Amidst periodic power outages residents returning Montserratians and visitors alike enjoyed both the events that evening part of what promised to be a fun filled week of celebrations for St Patrick’s Day 2017. Few of the visitors then had similar comments like, “It’s been ok we just came in last night so we haven’t seen much as yet so we’re just waiting – I’m enjoying it a lot can’t wait for more activities to come – I’m having a great time right now so just want the fun to keep going and just having a good day. Throughout the week there continued to be much discussion about the aborted St. Patrick’s Day Lecture, which lecture is now very much an annual event, while the discourse continued also about the celebrations of St Patrick’s Day being, not primarily to honour its Irish heritage but to remember the nine slaves killed after a failed uprising on March 17, 1768. 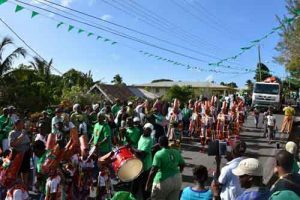 It is believed that a fellow slave chose to sell out the group who planned to fight for their freedom while the slave owners were celebrating. Honourable Premier Donaldson Romeo speaking at the closing of the festivities at the Heritage Feast on St Patrick’s Day the Honourable Premier Donaldson Romeo called for the festival to maintain its uniqueness and inclusiveness. “This festival stands on history, history that can teach us all a lesson. 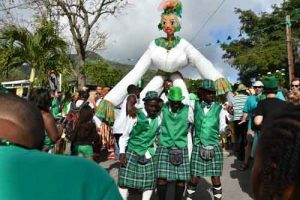 Two hundred and forty nine years ago while slave masters celebrated St. Patrick’s Day the slaves decided to take advantage of the merriness, merriment and drinking. 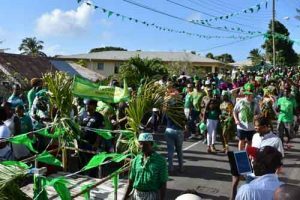 They planned an uprising but it failed because of disunity,” he said.